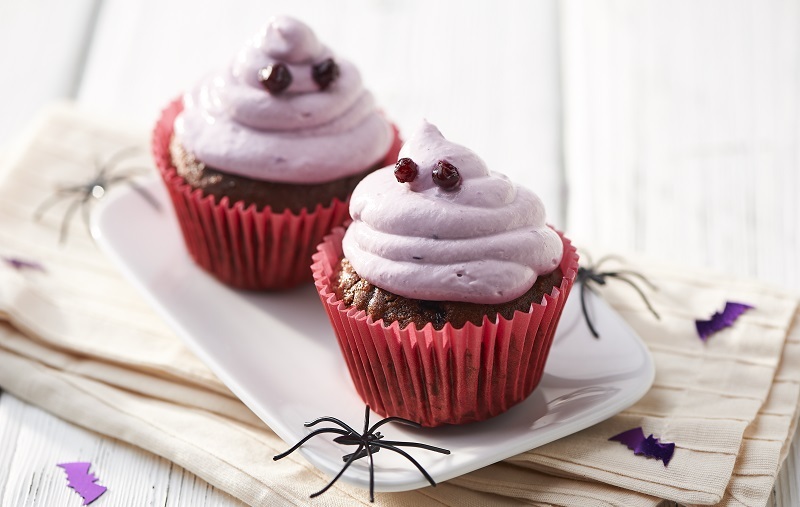 Watch out for spooky treats and terrifyingly tasty bakes worth serving up on a fright night! All using scarily jammy tricks. Halloween is often associated with a lot of sugar and food colouring. So we’ve put together some ideas using your favourite reduced sugar jam to bake your spooky Halloween treats, adding flavour in the process too. Who knew jam could be so frightfully fun! A simple pastry decorated with less sugar strawberry jam and almonds is sure to add a creepy touch to your Halloween party. The jam gives the fingers a bleeding effect and these come out a lot more moist and flavorful too. Give our filo jam tartlets a creepy crunch! Fill them with blackcurrant jam and add some edible eyeballs. Scarily simple! Cake on the brain or brain cake? For a slightly more refined brain cake, line slices of strawberry jam roly-poly inside a bowl to form the outer shell of the cake. Fill with a no-bake cheesecake filling, jelly or a blancmange. Core a green apple and slice it into quarters. Cut a thinner slice from each quarter (once assembled this will form the bottom of each monster mouth). Dip in lemon juice to prevent them from browning. Spread some Strawberry jam for the tongue and then push some slivered almonds in for the teeth. For a nut-free option, sunflower or pumpkin seeds work well too. Add a spooky twist to Streamline jammy dodgers using a Halloween cookie cutter! Use Streamline Strawberry chocolate brownies as the base for a graveyard cake in a jar. You’ll even get some bleeding effect from the Strawberry jam! Frightfully simple and easy to make, these little cupcakes are made using a chocolate and blackcurrant sponge topped with little ghosts made using a healthier frosting technique. They are spookily good!